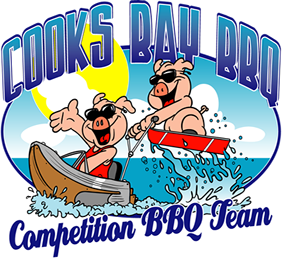 We first became interested in competition barbecue in 2006 after attending a rib cooking class at a local kitchen supply store. We took the class just for fun and to hang out with each other for a day. Soon, we learned more about cooking competitions through the Kansas City Barbecue Society and on the BBQ Forum web site. In 2007 we decided to jump in and try our hand at real competition. We attended a competition cooking class in Waterloo, Iowa in April. In May, we cooked in our first competition using three bullet cookers, a Weber grill, and a rented van that barely made the trip. We were hooked because the people we met were so incredibly gracious. That first year we competed in three competitions; two in Minnesota and one in Iowa. In 2008, armed with our new cooker, we competed in seven competitions. 2009 marked a new year and an added team member, our brother Dan. We competed in 8 KCBS sanctioned events and 1 non-sanctioned event. As always, we held true to most of our mission statement; to have fun and meet new people. We also learned that we have room to improve on that part about cooking better each competition. As always, we look forward to another great year on the circuit in 2011. The number of KCBS sanctioned competitions is growing in Minnesota which is encouraging. The growth of this sport is a testament to the hard-working cooks out there spreading the word about how great it is to compete in our state. If you’re interested in learning more about local competitions, check out the Minnesota Barbecue Society’s web site: www.mnbbq.org.